Competitors representing host nation have taken nine medals to date: two gold, four silver and three bronze. 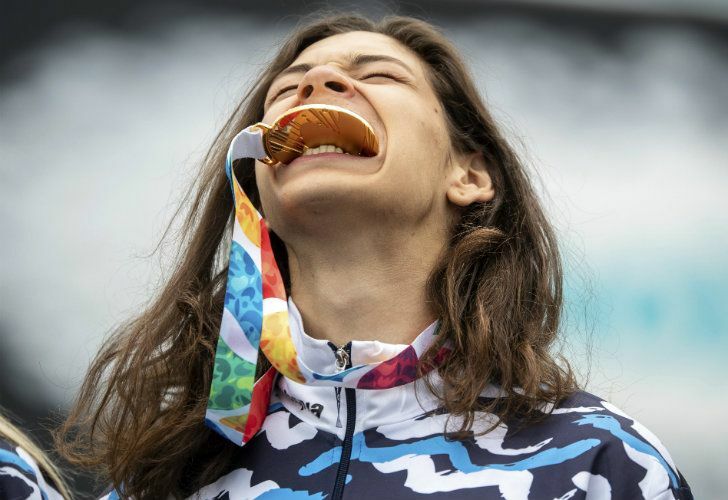 After six days Argentina had garnered at least nine medals (two gold, four silver and three bronze) at the Youth Olympics in Buenos Airesby press time yesterday but more looked to be on the way in the coming days in sports like hockey and tennis. The host nation struck gold in female single sculls (María Sol Ordas) and freestyle gymnastics (Agustina Roth and Iñaki Mazza). Other winners were: Delfina Pignatiello (swimming), Mariano Carvajal aka Broly (break dancing) and Fernando Espindola (gymnastics), all winning silver, while bronze medals went to Tomás Herrera and Felipe Modarelli (coxless pair rowing), Facundo Firmapaz (shooting) and Santiago Escallier (gymnastics). Russia and Hungary head the medals table overall. Around 4,000 youth athletes from 206 countries across the world are taking part in the Games, as Argentina hosts an Olympic event for the first time. Earlier in the week, the players of the Thai junior football team who were rescued after being trapped in a cave for more than two weeks – who invited to Buenos Aires 2018 as special guests – played at River Plate’s famous Monumental stadium against the Millo’s youth team. The Wild Boars team, aged between 11 and 16, also met President Mauricio Macri during their time in Argentina. The budget for the 2018 Youth Olympics has been “reduced by 40 percent” from its initial costing of US$200 million, International Olympic Committee President Thomas Bach revealed last week. “The IOC was presented with a budget of US$200 million for these Youth Olympics but the latest information is that the budget will be 40 percent less,” said Bach who did not elaborate on where the savings will be made. Argentina is in the midst of an economic crisis but Bach insisted that the host nation should not be discouraged from bidding to host the adult Olympic Games despite failed attempts for 1956, 1960, 1968 and 2004.